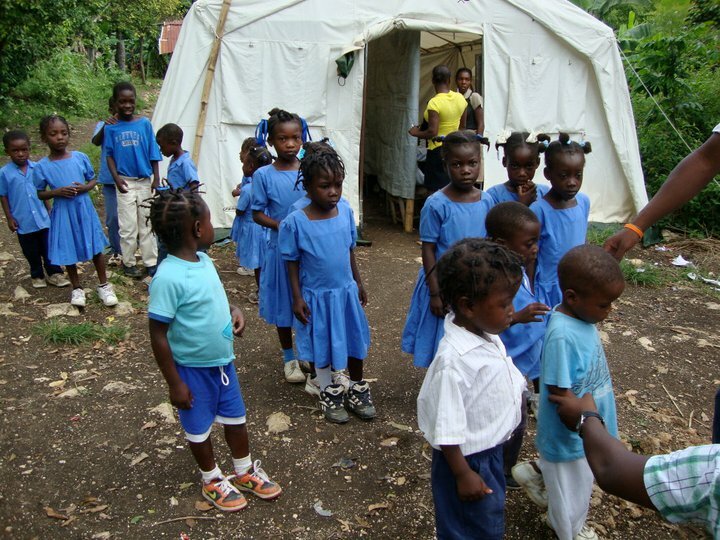 Before the devastating 2010 earthquake, Haiti ranked the poorest country in the Western Hemisphere. If possible, living conditions have worsened. More than half of the population lives below the poverty line of $1.25 per day. 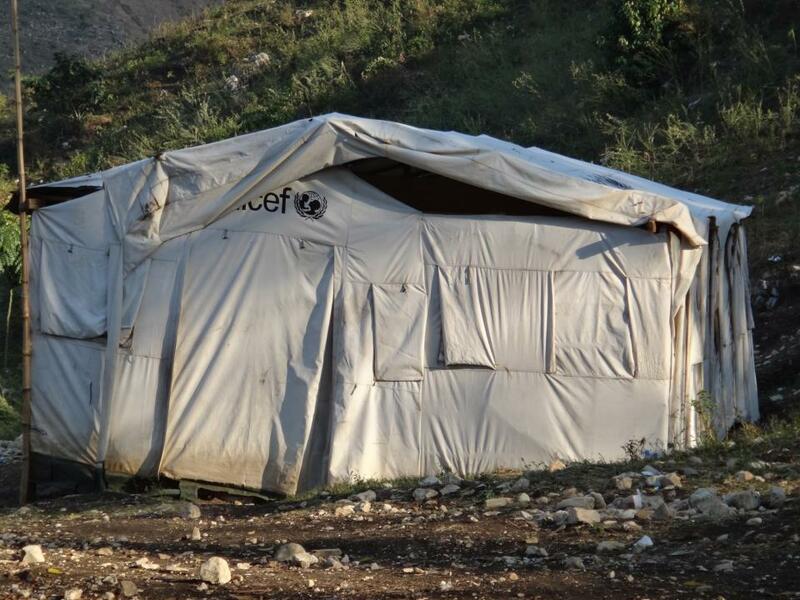 An estimated 350,000 displaced persons exist in temporary tent shelters. 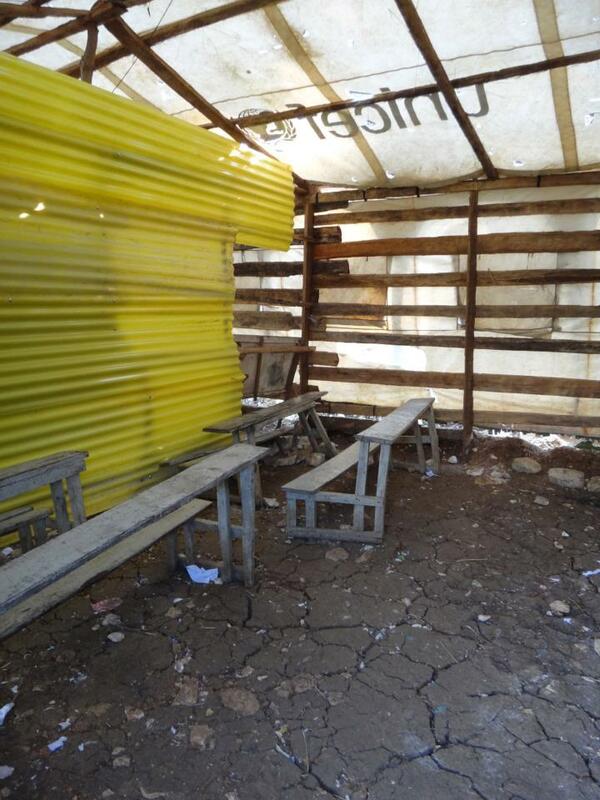 Nearly 4,000 schools affecting 2.5 million students have been damaged or destroyed. Educating the children can break the cycle of poverty, believes Heather Hinze, a single mother who has launched a non-profit organization. “It’s become my passion. A new generation of educated Haitians can help build a country of self-sufficient, positive contributors to society. 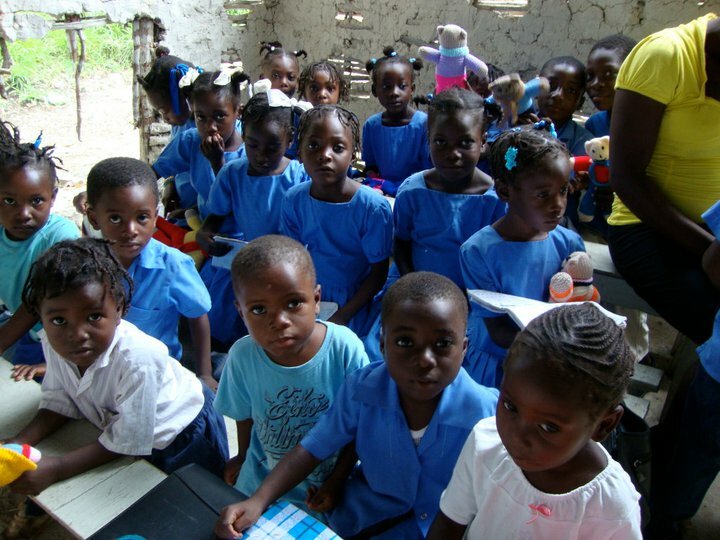 The future of Haiti depends on the children,” said Hinze. She has lived in town since 2004. Her desire to make a difference evolved after reading the book “Start Something That Matters” by Blake Mycoskie. When she lost her job of 11 years with a mutual fund company last year, she decided that the perfect opportunity had come to become involved. She and her 16-year-old daughter Madison brainstormed about what path to take. Her favorite Mahatma Gandhi quote — “Be the change that you wish to see in the world” — further motivated her. She learned that many Haitian families can’t afford to send their children to school because of the cost of school fees, school supplies, and uniforms. She created “Be the Hope,” a non-profit organization whose mission is to provide a backpack of school supplies to Haitian youngsters. She has partnered with Future for the Kids at Haiti Communitere, a disaster relief organization that assists a number of projects. The compound provides accommodations ranging from tents to rooms in the main building, drinking water and 24-hour security. For starters, Hinze has “adopted” 60 boys and girls between the ages of one and 14 years old in two orphanages, Agape Orphanage and La Main Tendre Orphanage, in Port-au-Prince. She plans to take as many backpacks as she can of school supplies, plus new and used clothing and shoes. She is limiting her personal items to one carry-on bag and will pack two large suitcases of the backpacks and clothing up to the 50 pounds allowed by the airlines. “I don’t want to go empty-handed,” said Hinze, who considers her first trip as a learning and fact-finding experience. “I want to work with people there and find out what they need and tailor needs around them,” said Hinze. 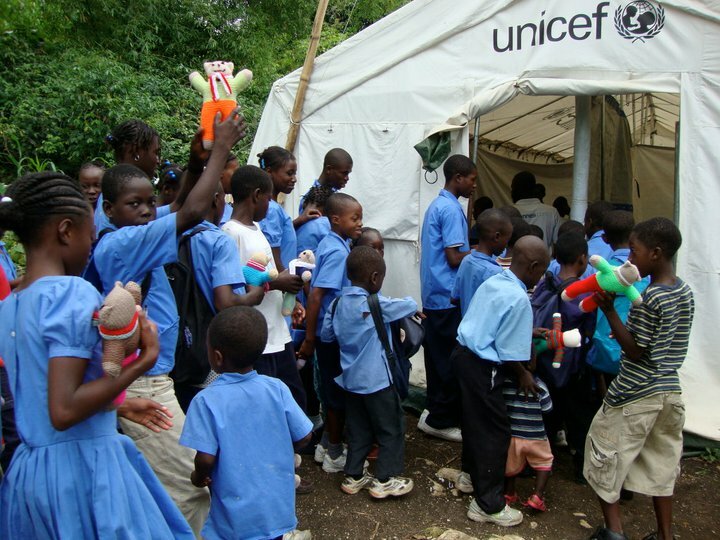 Buying school supplies may be less costly in Haiti than shipping the products from the United States to Haiti, she said. She is funding her own trip, estimated to cost about $1,500. Her plan is to stay in a tent without running water to save money. She has been fundraising on the website Indiegogo, Facebook and Twitter to collect money for her charity. Donations can be mailed to her home address, 9767 N. Baylor Drive, Fountain Hills, 85268. More information also is provided on her website at http://www.bethehopehaiti.org. Each backpack will include a hand pencil sharpener, a box of 24-count crayons, two 100-page composition notebooks; 12-count Number 2 pencils; a pencil case; eraser; 10-pack ball point pens and a 12-inch ruler. She eventually hopes to collect chalk, chalkboard erasers; soccer balls; art and crafts supplies; scissors; construction paper, glue and colored pencils. Monetary gifts also can go toward buying books in Haitian-Creole, French or English languages in Haiti. It’s been an exciting week! Our website is live! http://www.bethehopehaiti.org It is my first attempt at “building” a website and, although it’s not perfect, I am very proud of myself! I officially contacted some of my friends and family to let them know what I am doing and passed along my web address, Facebook page and blog info. Thirty eight likes on Facebook already! I’ve also had more views on my blog in the past few days. Baby steps! I created a Twitter account, but I have never tweeted before in my life! I’m waiting for my teenage daughter to help me out with my first tweet. Our first crowdsourced fundraising campaign is in the works. I have been agonizing over it; I want to make sure it perfectly tells potential donors what it is I hope to accomplish. I also have a few “perks” in the works that donors can choose from at 3 different donation levels. My hope is to launch it sometime next week. My goal is to raise $4,000.00 (so scary!) which will allow me to purchase 150 filled backpacks needed to help the kids that Frantz works with. If you would like to help with our cause, here are some ideas and THANK YOU! Please tell ALL of your friends, family, neighbors, and colleagues about our cause. I have spent a good amount of time researching what to include in the backpacks. I have also struggled with whether or not to purchase the items in the U.S. and ship to Haiti (shipping and customs????) or buy the items in country. I have determined that I can get more for my money by purchasing them here and shipping them there. Assuming all goes well with my first shipment, that will be the route I continue to take, but you never know what will happen! I have learned a lot from speaking with people that are already “in the trenches”. My initial idea was to have the backpack contain enough school supplies to last one school year. I have since found out that, while it’s a noble idea, it’s not practical. I did not take into account the living conditions in Haiti. 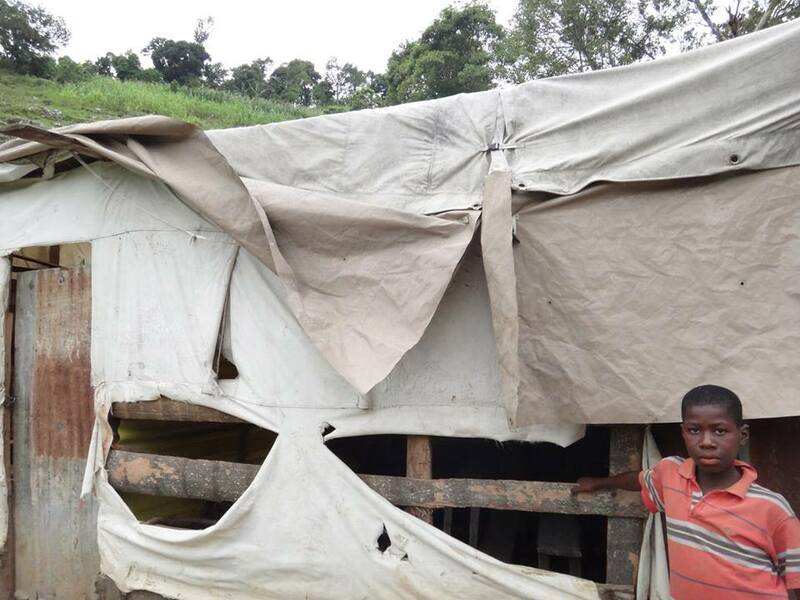 The fact of the matter is many of the children that I hope to help live in tents and/or shacks that are not secure. 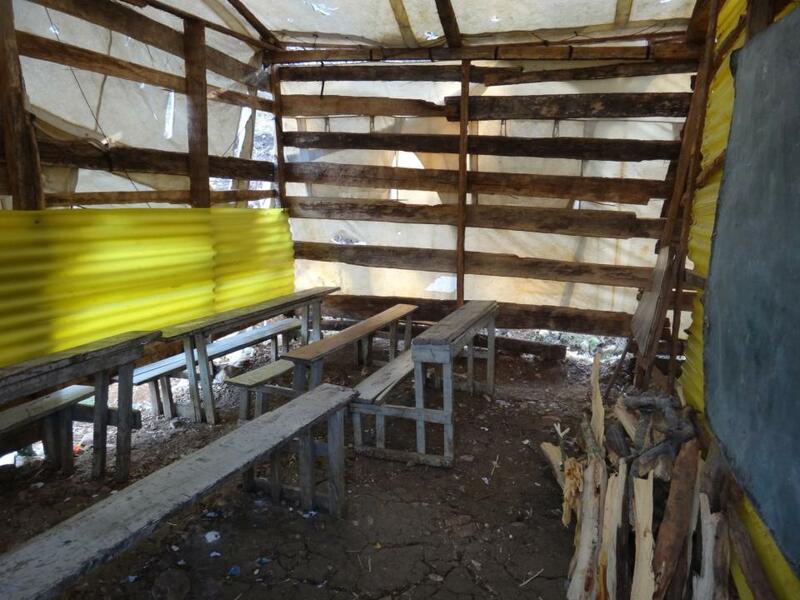 The backpacks could be stolen, they could be sold for money to feed the family, they could be eaten on by rats and they could be ruined, damaged or swept away by rain water (which is a common occurrence in Haiti because the homes are not secure) . That said, I am still 100% committed to the need and desire to provide them to children that need them the most. However, I have scaled down the contents a bit. I am partnering with a supplier in the U.S. that will even assemble the backpacks for me per my specifications! A complete backpack with all of the above supplies will only cost $25.00! (I spend more on a backpack alone for my daughter!) Each full-size backpack measures 16.50″H x 13.125″W x 8.25″D. They have one large top loading compartment with double zippers, two front zipper pockets and one velcro pocket. I am so happy to have found them! My goal is to raise enough funds to purchase 150 backpacks to give to the children that Frantz (Future for the Kids) works with. It looks like my trip will take place in May, so I don’t have a lot of time to achieve this goal. I am hoping to have my fundraising campaign up and running by February 28 at the latest. Meanwhile, I am still collecting donations of new and gently used children’s clothing and shoes to take with me as well. 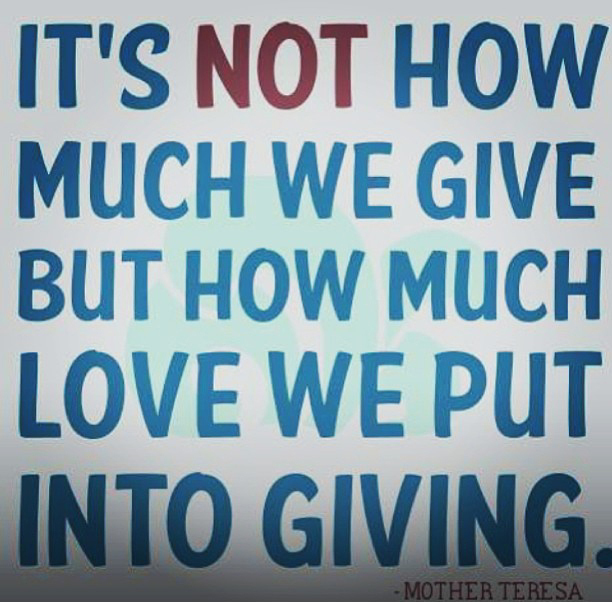 If my fundraising surpasses my goal, I have many more ideas and many more children that are in need of help! There is chalk and chalkboard erasers to buy for the classrooms, art and craft supplies such as markers, colored pencils, construction paper, scissors, etc. (I have set up an Amazon Wish List for these. Search “Be The Hope, Inc.” under Wish List.) soccer balls, and I would LOVE to be able to purchase a portable library of books for one school. Lofty goals, I know!